Had a lush day with one of my best friends, Hannah today. We went to Pizza Express, had Starbucks and topped the day off with a sly drink in the wine bar. Nothing better on a lovely day like today. The weathers been just right! My throat is still bad but the copious amounts of painkillers I've taken are probably numbing the pain a little. Started taking some antibiotics for it too so fingers crossed it will be gone! In Love with fashion is a brand I've been aware of for a while. I had a look at their stuff in the Oxford Street Topshop, and was impressed. Im one of those people that like simple dresses in a variety of colours and styles. The dress I picked is like a greyish cream colour which I really like. I was going to send this dress back as the zip is a little stiff but I do really like it so decided to just have to force my Mum to do my dress up for me anytime I wear it in the future! On my ETC LLYMLRS blog I've posted a little giveaway for the other item I was sent but unfortunately it doesn't suit me so I figure I'll give it away to you guys. More information on the other blog! I wore my Allegera boots as well today, like pretty much every single day, they are getting so scuffed. Usual speil when I talk about shoes but I always wear the same shoes most days hence why I don't post them! love the necklace!!! ur hair looks fab lily! I just love your nails and that necklace! Gorgeous! I was going to buy the blue version of this from Topshop for a christening but it was slightly out of my price range! It looks lovely in the cream! What a super darling dress! And your leopard mani is remarkable. Hope you get to feeling better soon! This dress is really cute i love this look and as usual i love your nails ! Your hair just gets better by the day. Your so lucky. 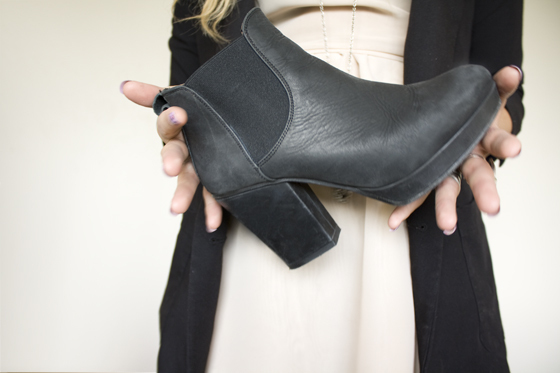 I love the Allegera boots, they're gorgeous but sold out in my size in store and not on the website anymore. I love the black suede Chelsea boots instead though, I'd probably find myself walking around barefoot if I wore the Allegera boots all day! The necklace is gorgeous aswell, not the usual Primark style at all! 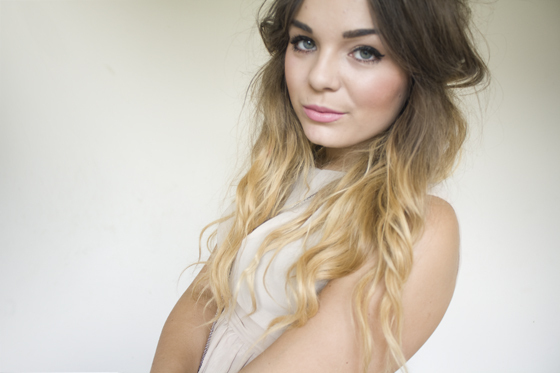 Your so gorgeous, i love your hair and your style! Love's clothes are great! I have a jumpsuit with flower print by them. Very pretty! I love how you did your nails this time! With A variety of colours as leo "dots". this is lovely! this whole outfit is just perfect on you. love the dress and your post per usual! You look gorgeous as ever! I love your dress, so simple yet so elegant! you've been looking extremely fab lately. love it, you look perfect! cuttte dress, i dig it. also really liking those boots, ahhh. been madly searching for a pair similiar for ages, and just realised those are perfect. and now theyre sold out! go figure. This post is amazing, I love the photos and your outfit is perfect! I love the way you layout your posts and not only are they fashion posts but also a bit about your day, perfect blog. I love the simplicity of this look! And the girly/tomboy vibe. So cute, and I love your boots!! Oh my goodness, I am in love with this outfit! So pretty!! wow I love your nails! Great Outfit, I really like the shoes. Your hair is gorgeous. What a delightful blog! YOUR HAIR. So marvelous. Top inspiration! Your hair is looking amazing. I also adore the colourful spots on your leopard print. Is the post title inspired by Coheed and Cambria's song? Wow, I love those nails! I so love your hair is curls! this dress so lovely and theses boots are to die for!